It doesn’t have to be summer for Miamians to crave a respite from the sweaty, sticky humid weather of the tropics. So, from hotel pools to public parks, we’ve rounded up the best spots to go for a soak in Miami. 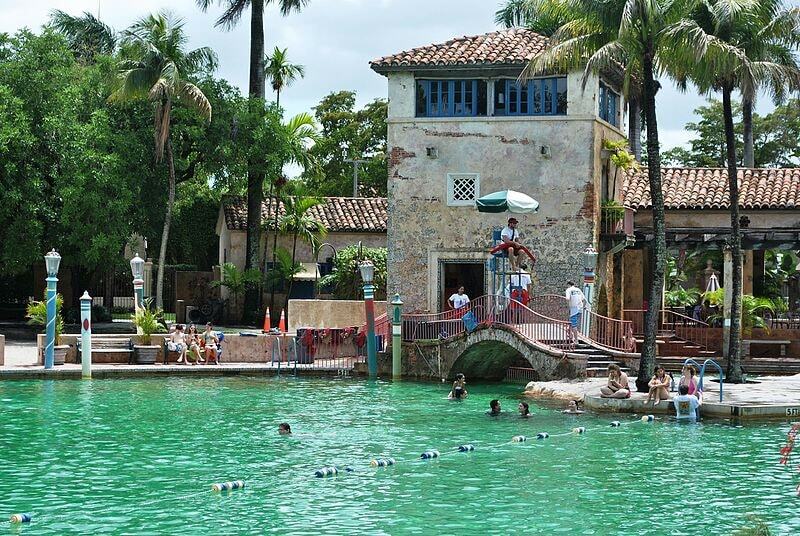 Go for a swim underneath waterfalls and exotic cave grottoes at the Mediterranean-style Venetian Pool, located in the suburbs of scenic Coral Gables. The historic Venetian Pool, built in 1923, boasts Italian architecture made of coral rock and is fed from a spring that pumps 820,000 gallons of water into the pool daily. Float along the 1,000-foot (305-kilometer) Lazy River at the McDonald Water Park in Hialeah. The perfect antidote to the humid and hot Miami weather, visitors can plop on a floatie or enjoy a refreshing soak to cool down in the heat. The water park also boasts a wave pool with three different wave variations to keep things fun, as well as a water playground for kids. After kayaking along the Oleta River, put your paddles aside and venture to the park’s beach to enjoy a swim in the salty water. The 1,200-foot (366-meter) beach is set among the tropical forested area that also boasts mangroves and exotic plants and wildlife. Visitors can even book a stay in an air-conditioned cabin to enjoy a weekend of camping in the great outdoors without roughing it. With 35 water slides, a giant wave pool and a lazy river, you’ll probably end up with your ears clogged with buckets of water, but you won’t regret visiting. 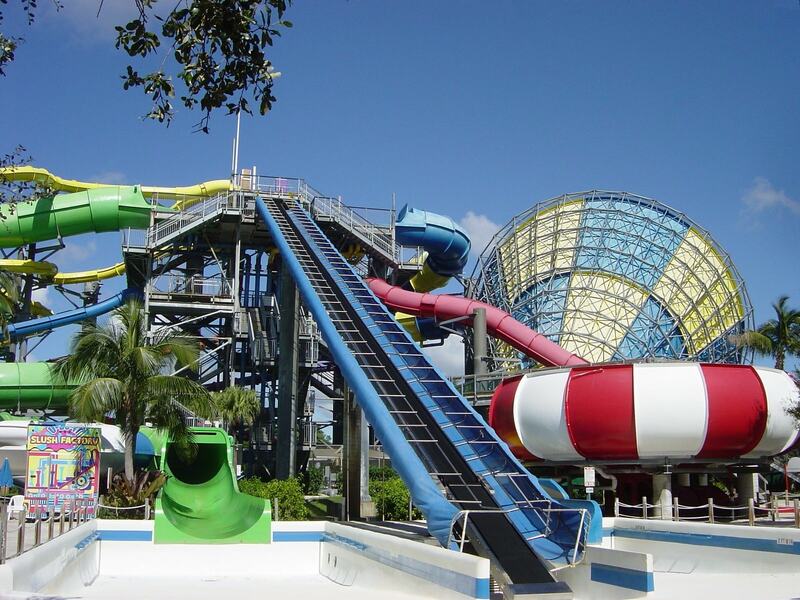 The largest water park in South Florida is a bit of a drive from Miami, but it’s worth it for a whole day spent tunneling through slides and soaking in pools. Just adjacent to the Zoo Miami, this park encompasses 270 acres of South Florida woodland and is home to a freshwater lake with a beach where visitors can swim. There are also hiking trails, bike trails, and campsites for RVs. It doesn’t get more Miami than a dip in a hotel pool with a cocktail in hand, and the Freehand Miami provides just that. The pool at the Freehand hotel in South Beach may be unimpressive, but it’s a hot hangout due to its proximity to the local Broken Shaker bar that produces the most delicious craft cocktails. 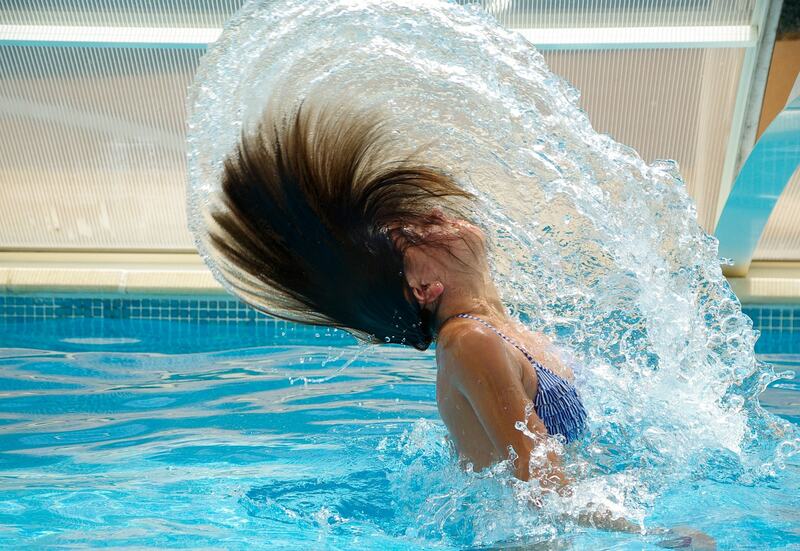 Drink, swim and enjoy a little Miami sunshine. If you’ve ever dreamt of swimming with dolphins, this is the place to do it. Located in Key Biscayne, the Miami Seaquarium offers different packages to swim with one of the ocean’s most docile creatures—for 30 minutes. 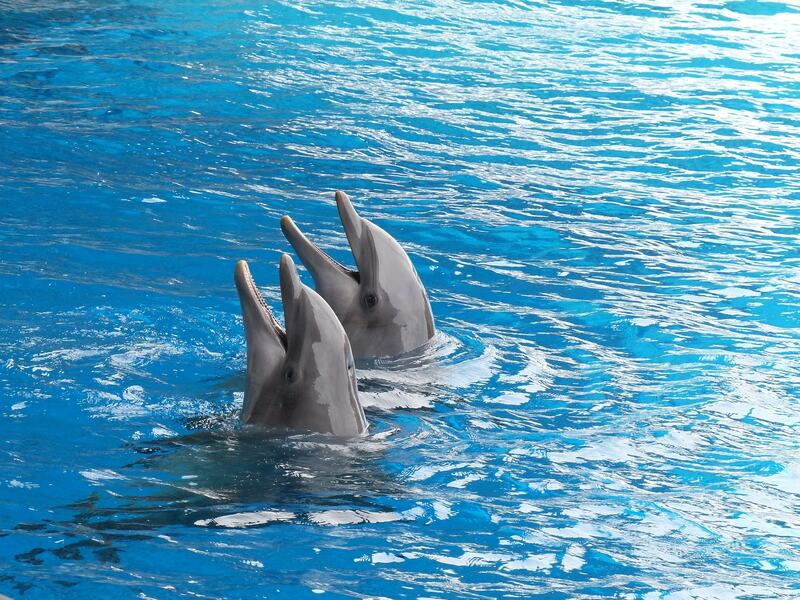 Guests can kiss, shake fins, and experience a dorsal fin pull, but it doesn’t come cheap. (Tickets vary at about $210 a session). The historic Biltmore Hotel, built in the 1920s and located in Coral Gables, features one of the largest swimming pools in the country. Roomy enough for a few laps, the sprawling 23,000-square-foot pool is done in polished marble and holds 600,000 gallons of water. Enjoy a swim in the glorious pool lined with classic statues and columns fit for a consul of Rome. For those in the mood for a swim with a side of a raucous party, head to the iconic Raleigh Hotel Miami Beach. 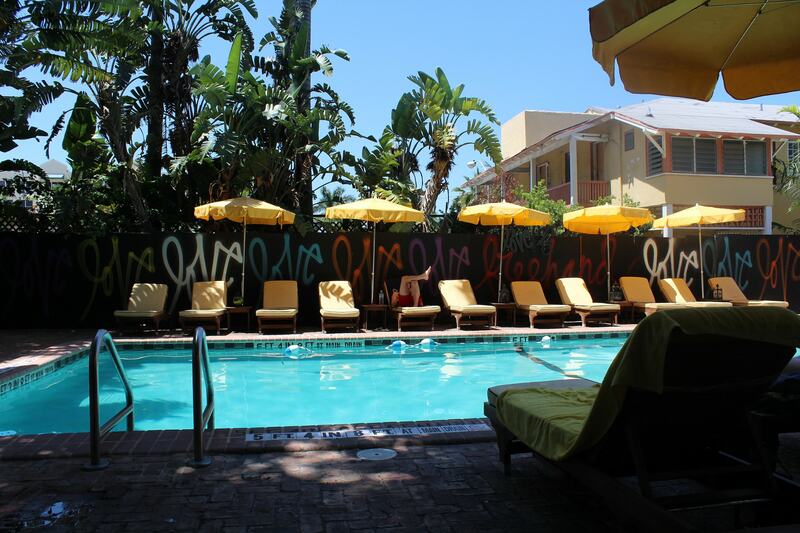 The oceanfront hotel is a local and tourist favorite due to its stunning pool and party atmosphere. Order cocktails from the pool bar and relax in style with a delicious mojito.